Local blogger fashionista Gracie Carroll and the crew from MuchMusic’s New.Music.Live dropped by the store to shoot a feature on style and fashion blogging. Check out the Toronto native’s fashion forecast for the fall and some of her picks from the store! 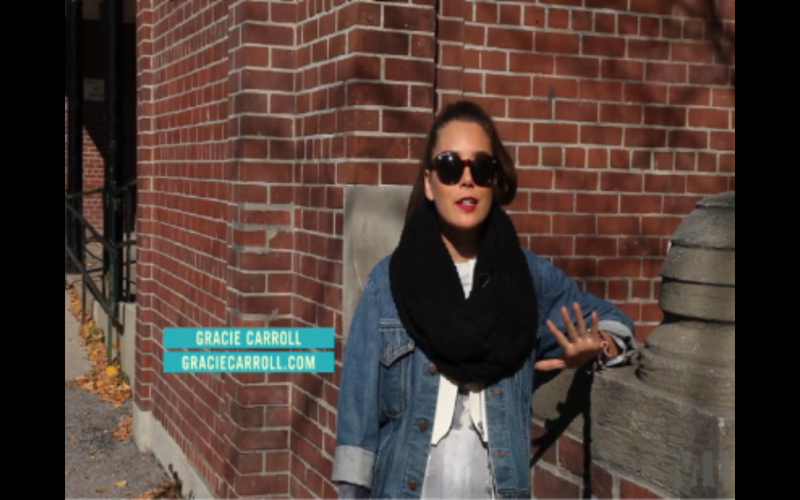 You can watch the video here: http://www.newmusiclive.ca/gracie-carroll-takes-you-behind-her-blog/. The dress she’s rocking is by Numph, come by the store and snap it up before anyone else does! Be sure to check out Gracie on her blog, http://www.graciecarroll.com and support local independent shops like she does! Tagged Bloggers, Gracie Carroll, lavish&squalor, MuchMusic, New.Music.Live. GET INTO THE BLACK SALE ON TODAY!